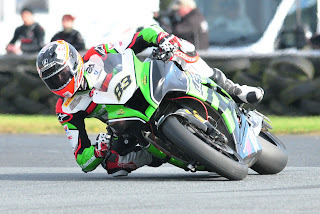 The ever popular Danny Buchan, twice winner of the Sunflower Trophy, is relishing a return to the County Down circuit, with view to reclaiming the Trophy he has previously won. Buchan has competed at the Sunflower in recent years on Superstock machinery, but for this year’s event, Buchan will compete on the FS-3 Racing Kawasaki Superbike. Annoyed at missing out in the BSB Showdown, the Basildon rider is aiming to end his season on a high. 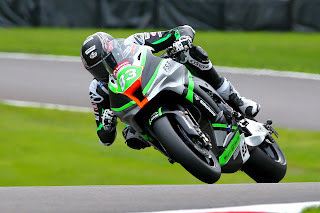 Two podium finishes at Knockhill prove that his and the team are competitive, as he was in the running for the showdown, until a practice spill at Oulton Park put him out of that meeting, and valuable points were lost. Heading to the final round this weekend at Brands Hatch, Buchan is currently lying in 10th place. Buchan fired the warning shots in the opening Superbike race at the Sunflower Trophy race meeting last year when he beat pre-race favourites, Glenn Irwin and Michael Laverty. In the Feature race, he had to settle for fourth spot, just losing out to Carl Philips. If he can take the covert win this year, he will get to keep the Trophy, first given to Scot Brian Morrisson, when he won the event three times.